What a find in the Vineyards! 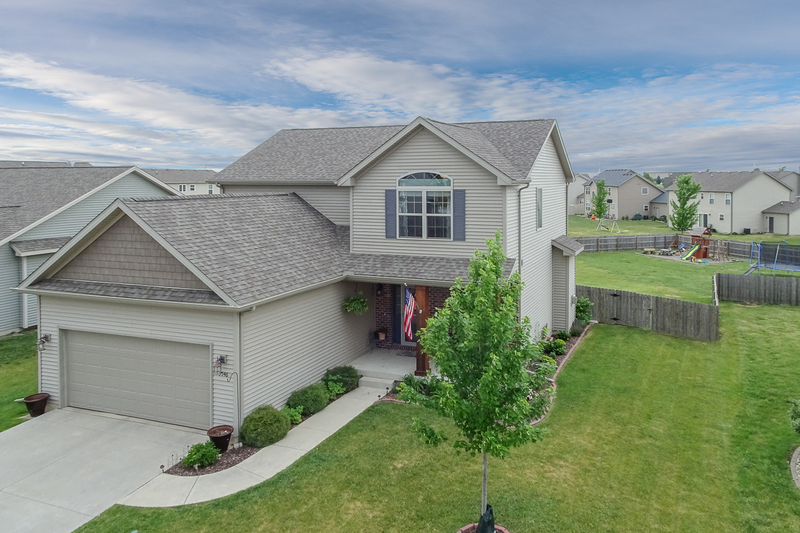 If you like open floor plans & want a spacious backyard then this home is for you! This 2-story, 4 Bedroom, 2.5 Bath home in North Normal is situated on a Beautifully landscaped DOUBLE LOT!! The fenced in yard had an irrigation system installed in 2014. Cozy family room with fireplace, appealing foyer, main floor laundry, beautiful trim throughout, 9 foot ceilings on the main floor and in the basement. Large eat-in kitchen has dark cabinets with a light quartz countertop & SS appliances (new dishwasher 2017). Stunning Master Suite featuring WIC, large master bath with tiled shower, double vanities & garden tub. This home is short distance to Grove Elementary School and Normal Community High School. Shows much pride in ownership. New sump pump 2017. Must See! !